A bridge is a structure that spans a valley, river, or body of water, and roads and railroads, providing passage from one side to the other. Early bridges were natural - fallen logs across a stream or built up landforms chosen as paths for crossing. People made bridges with vines, branches and stones. Bridges are still made of vines, wood and stone, but are bigger and longer when built of man-made materials like steel and reinforced concrete. There are six main types of bridges: beam, cantilever, arch, suspension, cable-stayed and truss bridges. Designs of bridges depend on the purpose of the bridge, the terrain the bridge will span, and available materials. Bridges carry people, animals, bikers, goods, cars, trucks, buses, trains, and utilities. An aqueduct is a bridge that carries water, resembling a viaduct, which is a bridge that connects points of equal height. A road-rail bridge carries both road and rail traffic. Pedestrian bridges are lighter and just carry people. 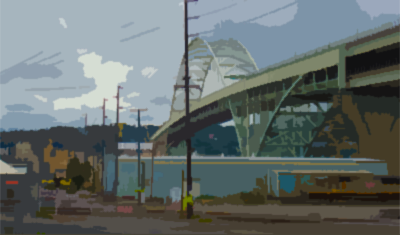 Activity 1 – find bridges in your city! Look around your city and find the six different types of bridges. Look by highways, over rivers, around waterfronts, in gardens and parks. 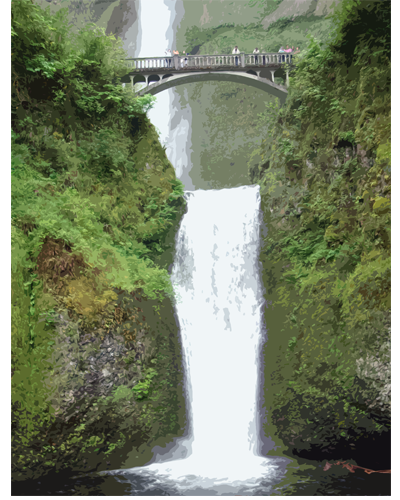 Photograph and sketch the bridges in your journal, labeling their type and use. The areas underneath some bridges have become makeshift shelters and homes for homeless people, and the undersides of bridges all around the world are often spots of prevalent graffiti. Choose one of your city bridges and improve the area underneath by planting a garden, creating a sculpture, imagining a new shelter. Activity 2 – understanding bridges! Bridges are everywhere, large and small. 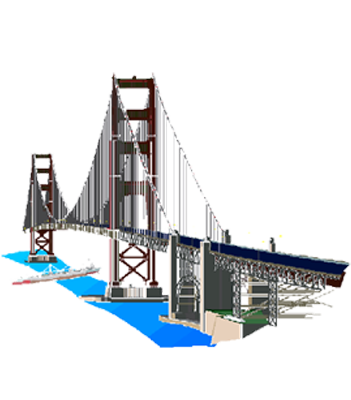 Collect photos of bridges from around the world, sketch their form and structure, categorize them and create a chart of the six main bridge types. Bridges connect us around the globe! Activity 3 – bridge treasure hunt! In this activity, you will attempt to find and share, with your class, the world’s oldest bridge, the world’s tallest bridge, the longest spanning bridge, the bridge that carries the most traffic. It’s a bridge treasure hunt! Wander the world and find your bridge! What is a bridge designed for? The first bridges were made by humans. How many main types of bridges are there? Design of bridges varies depending on the materials of the bridge. 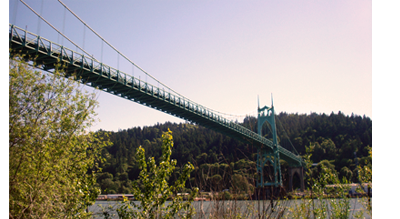 The first bridges made by humans were spans of steel and concrete. TEDed Can You SOlve the Bridge Mystery?